It's a Wrap Bowl...Learn the basics of wrapping and then let your imagination take off. 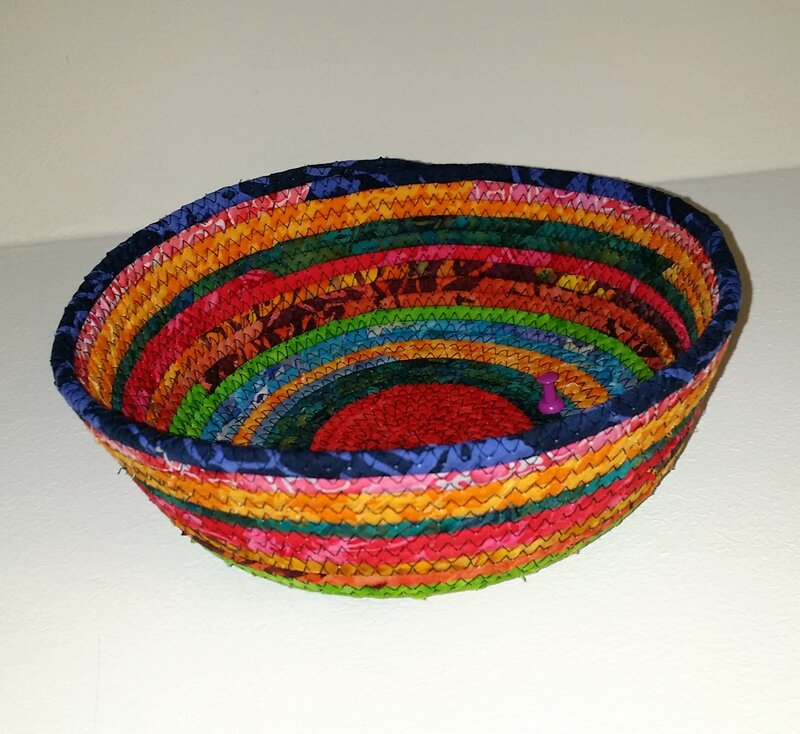 Using clothes line, fabric strips and your sewing machine you will create a small bowl in class. After the class you will be addicted and then large bowls, boxes, placemats can all be created out of scraps. How fun!! !